Nature is generous with us in the autumn months. Leaves in wonderful colors everywhere! It’s time to head outside and hunt for them. 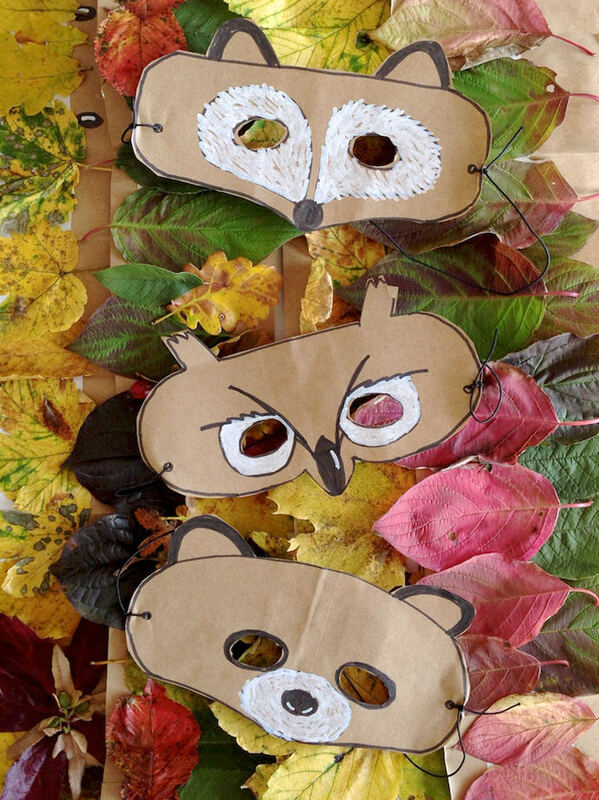 I was thinking about a crown made from leaves with wristbands, and my son was asking for an animal mask. You know what? 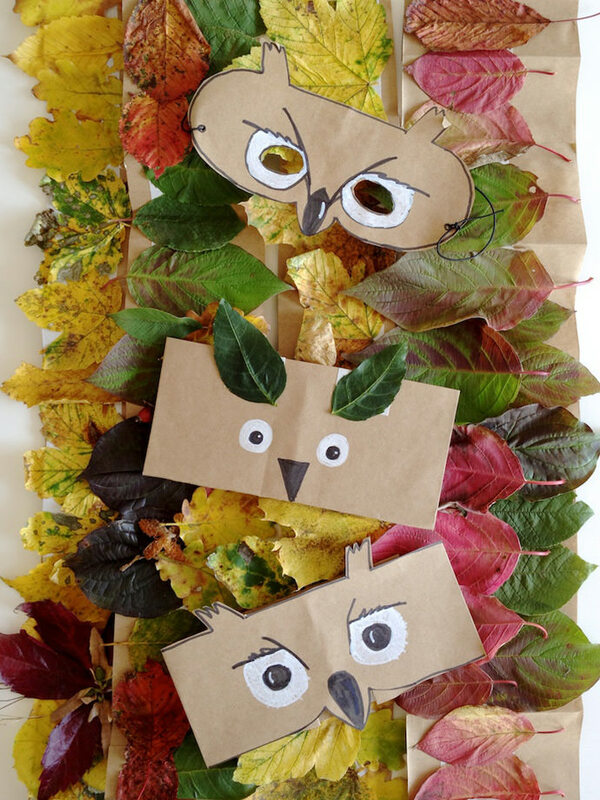 I made them both with two extra ideas: forest friends headbands with ears made from leaves. 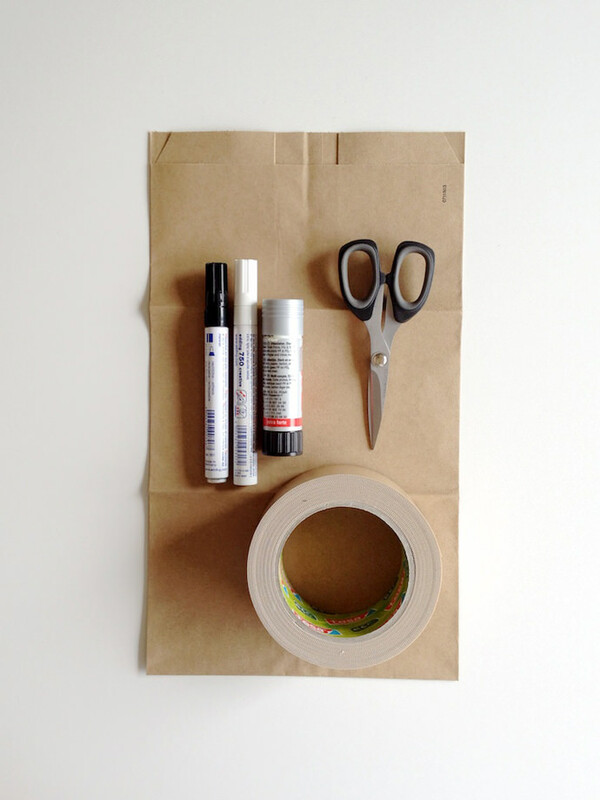 Search for a paper bag and some double-face tape in the cupboard, hunt for your black and white markers, and let’s get started! 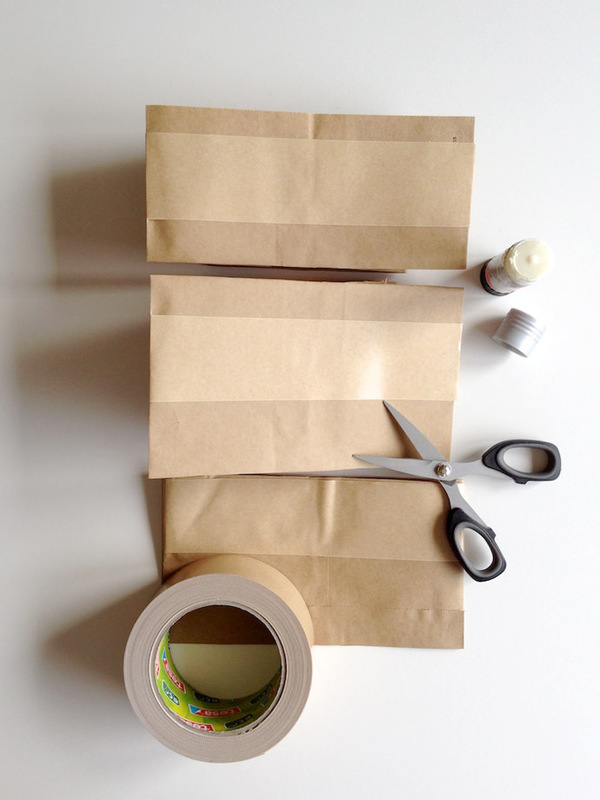 Cut the paper bag in three strips (3-4″ x 28″) and fit it to the size of your child’s head. 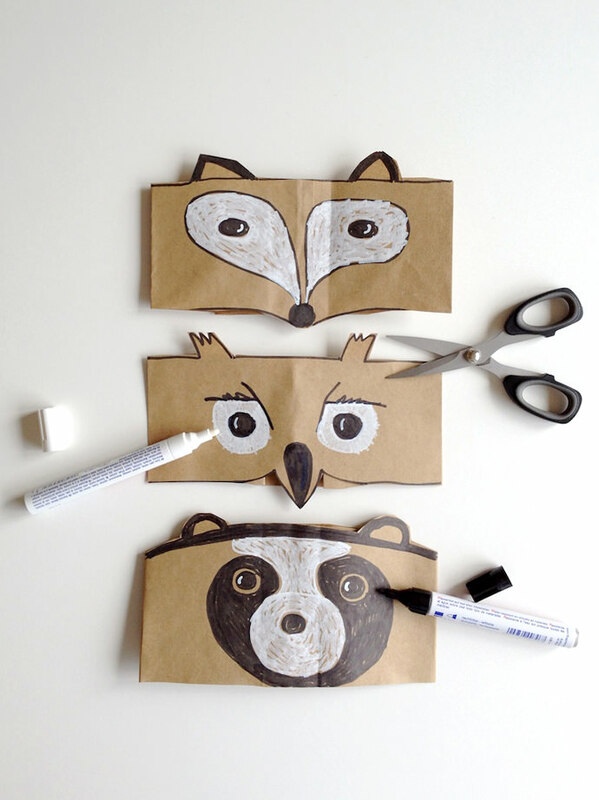 For younger children, cut the band open and glue the folds together for a better fit. Add the tape on the upper third. 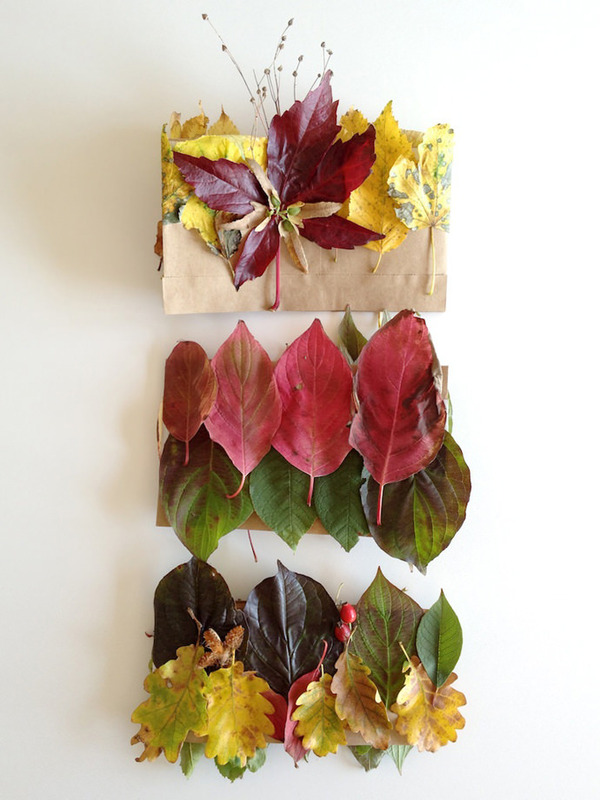 Gather some nice leaves in different colors and shapes and press it on the tape. Now your crown is ready! 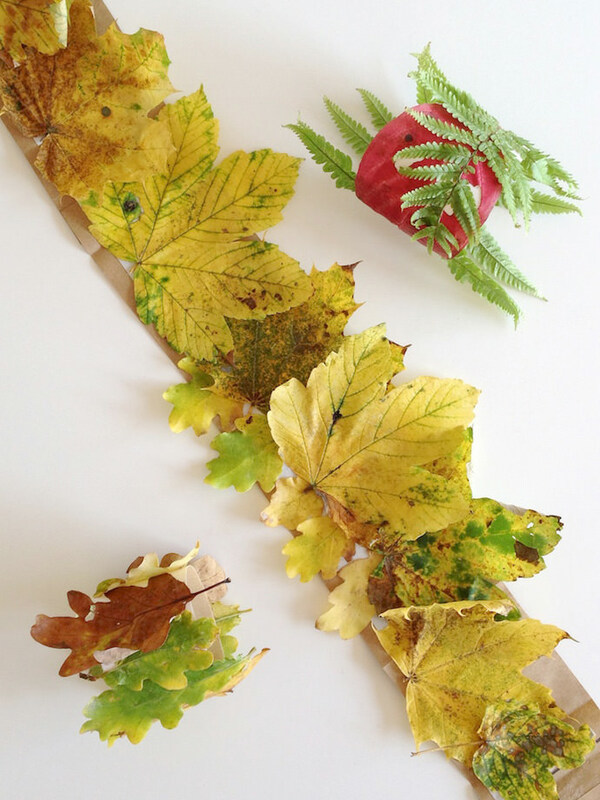 For the wristband, just turn the tape the other way round, cut a piece and start putting leaves on. I recommend using leaves from oak trees if you want to keep the crown for some days. Prepare headbands like the crowns without the tape. Draw your favorite forest animals on it. 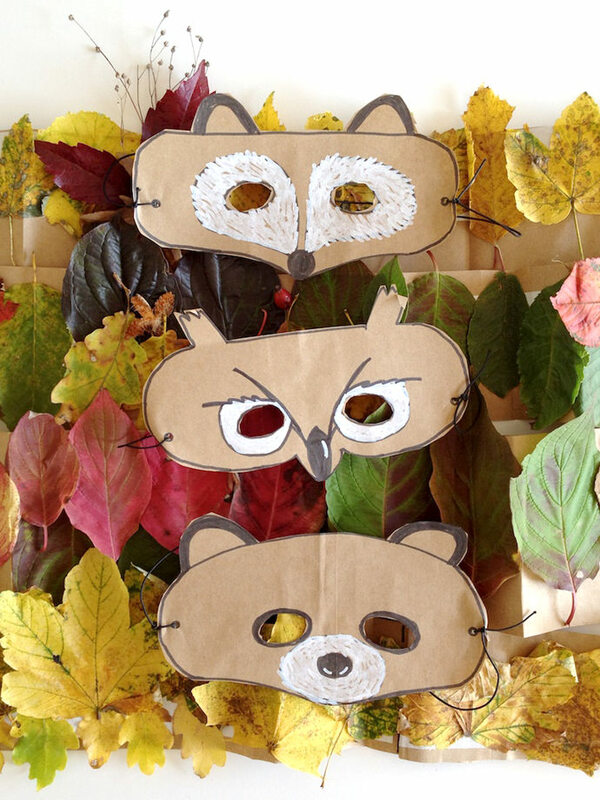 I made a fox, owl, and bear headband. Cut ears and beak. 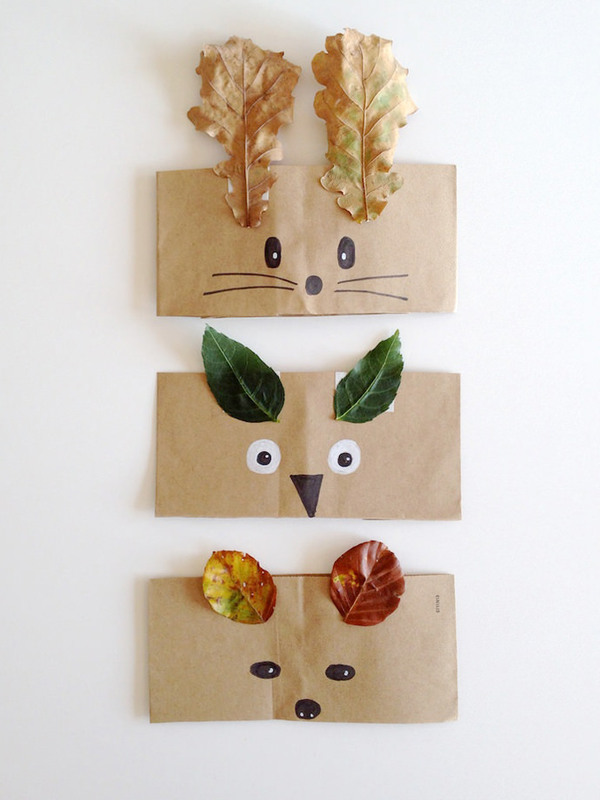 To integrate leaves into the animal headbands, prepare headbands like above and add some tape for the ears. 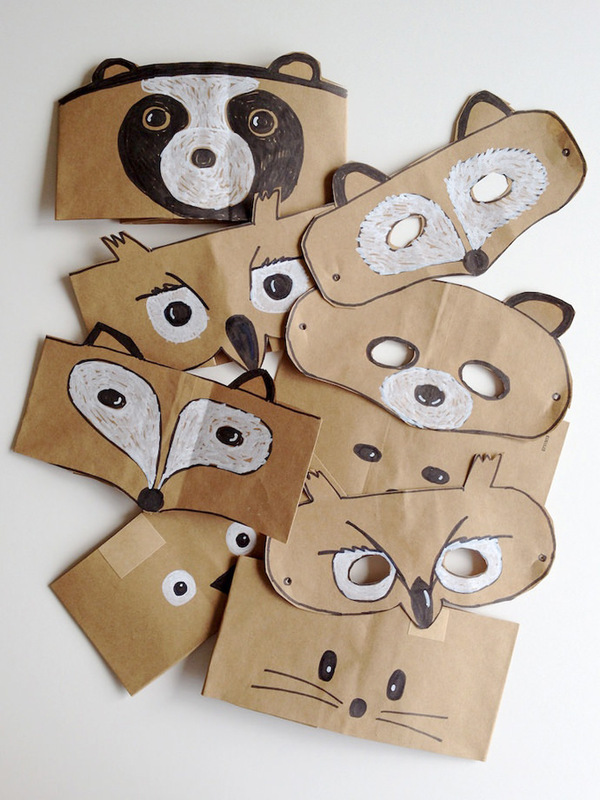 Draw some simple animal faces, just eyes and noses. 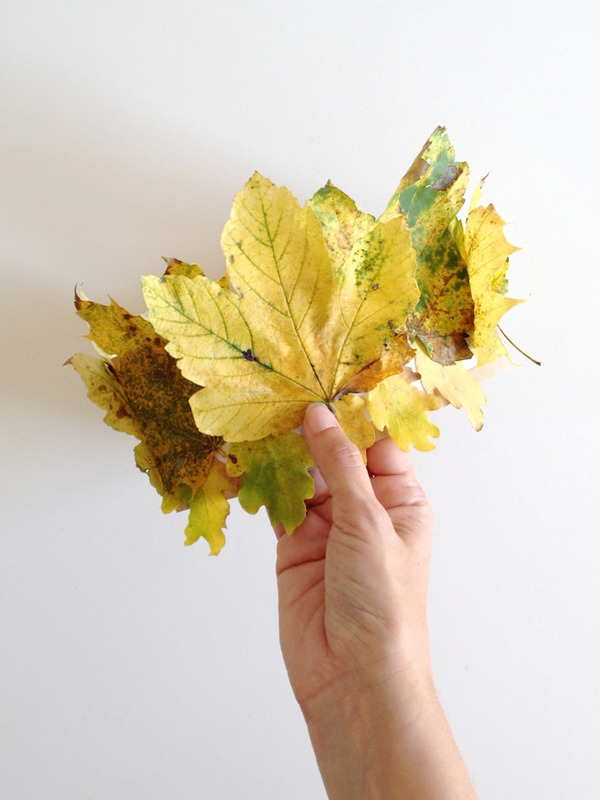 Head outside and search for two leaves with the right shape. 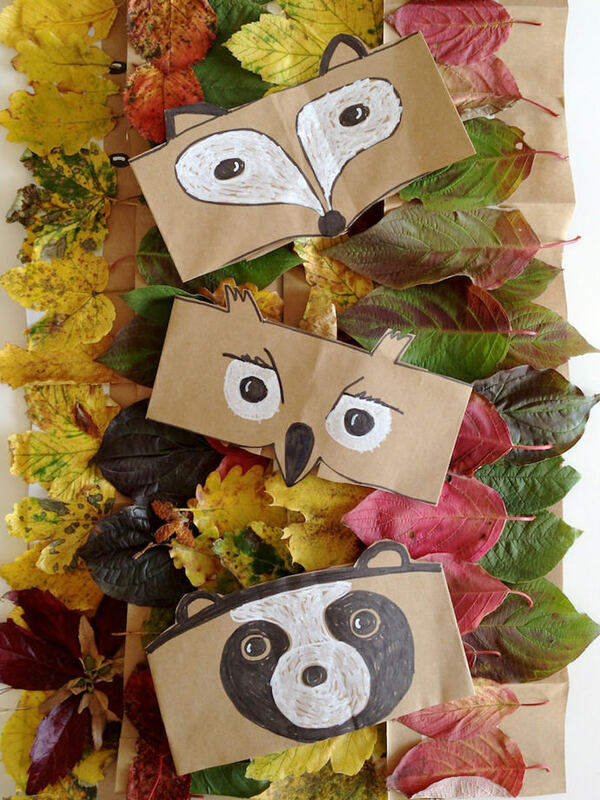 What works for a rabbit, eagle, owl, or a bear? 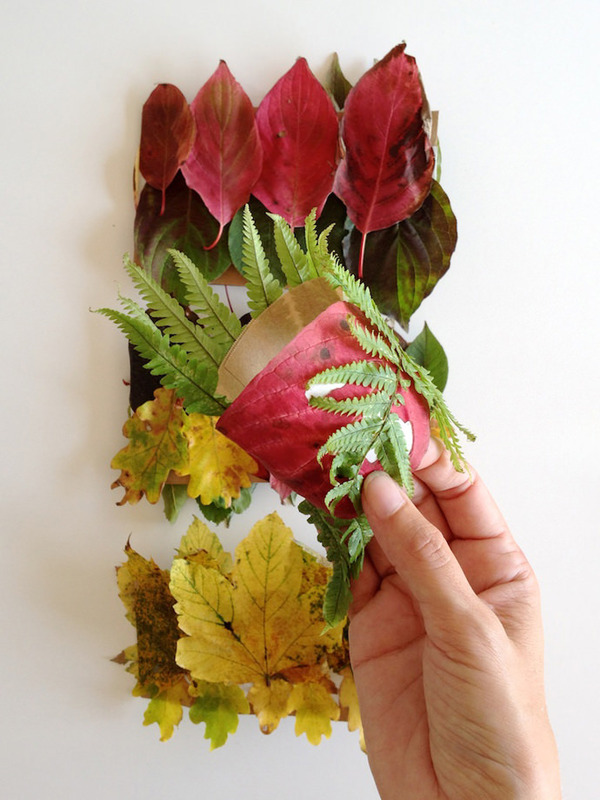 Tip: Try the other way around: Find two interesting leaves and think of an animal to match. The crumbled leaves after two days make even more interesting ears! 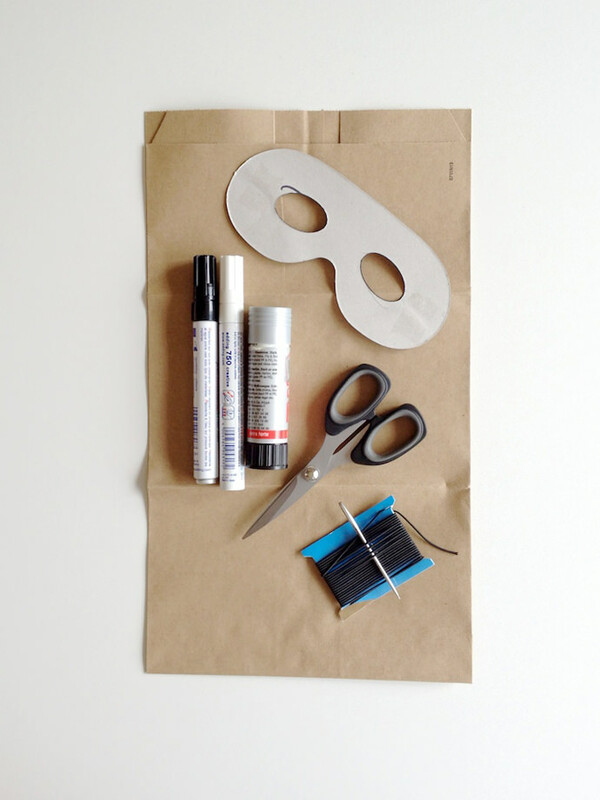 The mask should be 4″ x 8″ with the eyeholes between 1″ and 1.5″. I have an old children’s birthday mask that I always use for a template. 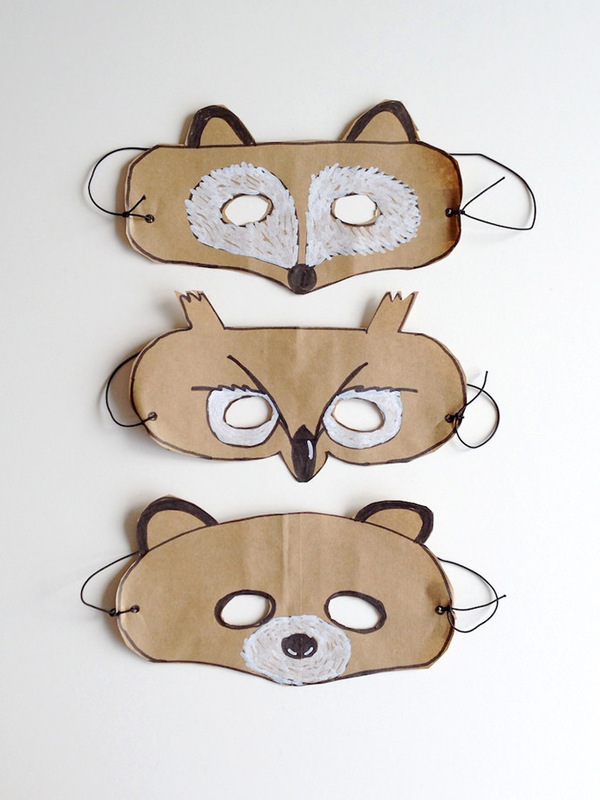 Cut the paper in three 4″ x 8″ pieces and draw the mask. Cut out the eyeholes and glue some small paper on the back, where you punch the holes with a needle. Measure the cord, then cut and knot to the mask. Ahh! Perfect perfect perfect, every single one! I absolutely love those crowns and for some reason they remind me of “Where the Wild Things are”. Gorgeous! 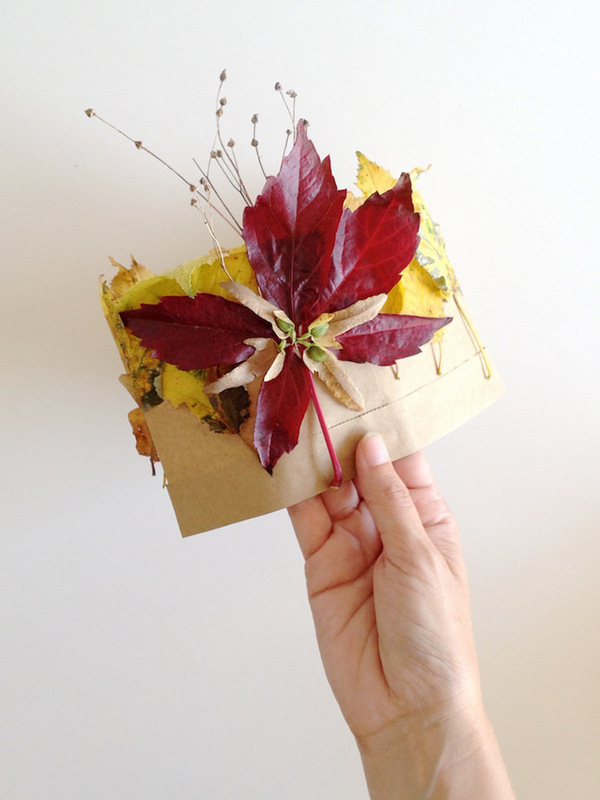 What lovely fall projects. 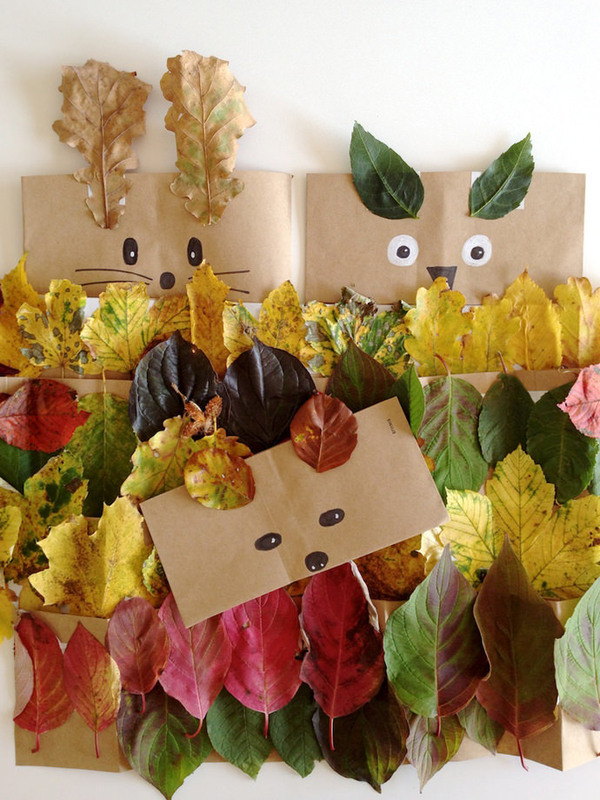 I love the ones that have faces and autumn leaves. Thanks for all the great ideas. Love this! 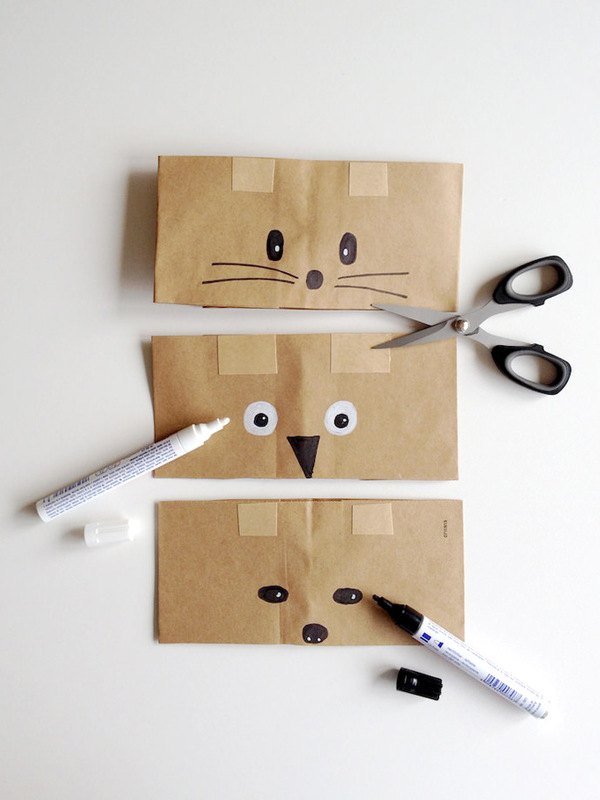 could glue replace the double sided tape for the same adorable result?